Please call to arrange appointments or book appointments online via. the link on our Website. We welcome new patients at all times. We encourage new patients to make double appointments due to the need to collect relevant information about your medical history and to arrange for any old records to be transferred from your previous medical centre if applicable. You can download our new patient registration form from our website which can be completed before arriving for your appointment or please attend our centre at least 10 minutes prior to the appointment to allow for completion of forms. For convenience purposes, patients are requested to use the ‘Book Appointment’ widget (this serivice is facilitated by the company HotDoc) on our website to book an appointment with their preferred doctor. Standard and longer consultations can be booked using this service. We do not guarantee that our website, or any content on it in relation to our online appointment system, will always be available or be uninterrupted. Access to our website is permitted on a temporary basis. We may suspend, withdraw, discontinue or change all or any part of our website without notice. We will not be liable to you if for any reason our website is unavailable at any time or for any period. Allied health professionals work varied sessions. Appointments with our visiting allied health professionals can be made at any time. Further details are available with our reception staff. No information shall be collected at the Balwyn Central Medical without patient’s written or implied consent. All patient information collected shall be used to provide a comprehensive approach to patient care. Information will be collected in a manner that ensures the protection of privacy and confidentiality. Please advise us if your details alter so that our information is accurate and up to date. No information that identifies the patient will be released to third parties without consent. There may be circumstances where the doctor will be obliged to release details of a patient’s personal health information without their express consent- this may be the case if the situation was an extreme emergency, or if legally compelled to do so. Balwyn Central Medical operates a fully computerised medical records system. All doctors and employees have individual passwords to allow access. Information is backed up daily and passwords changed regularly. Administrative staff with access to your personal health information have signed confidentiality agreements. Some medical information is downloaded directly into your medical record eg pathology results. These are encrypted to ensure confidentiality. 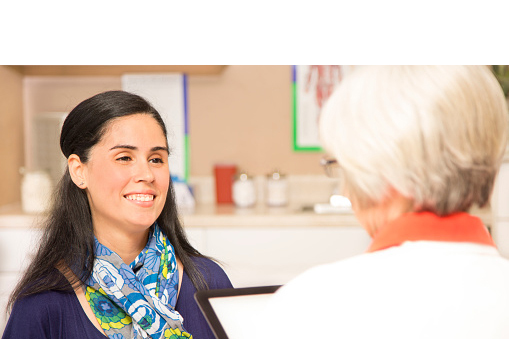 When patients move to another medical practice, we will support the continuity of care by preparing a relevant summary of your medical records. When we receive a form signed by you authorising the transfer of medical information, we will send this summary to your new GP. Patients may wish to directly access the full details in their medical records. Advise the staff of your request. The Practice Manager will contact you to outline the procedure. A written request for access to your medical record will be needed before we can proceed. We will advise you of the times that the doctor will be available to go through your medical records with you. This will be as soon as reasonably convenient within 30 days. We would encourage you to arrange a time to consult with the doctor to review your records. A fee will be charged for this service that will reflect the time taken. There is no medicare rebate available for this service. A fee will also be charged if a printout of your complete medical record is required – this will reflect the time taken to prepare such a document. There is no Medicare rebate available for this service. We can provide an electronic version of your records for which a fee will be charged to prepare your record. There is no Medicare rebate available for this service. Rarely patient access to details in the medical record will not be available. If this happens, a full explanation will be offered. It is the policy of the Balwyn Central Medical at this time to retain all medical records – no records are destroyed. If there are concerns regarding information collected at the Balwyn Central Medical and how it is used please discuss the issues with the Practice Manager or one of the doctors. General enquiries can be made with our reception staff who will provide the best possible service and information for you. If the matter is Urgent please inform so the matter will be directed accordingly. The doctors and clinical staff will review and return telephone calls between their sessions. It is strictly not to be misunderstood that our practice will provide clinical services over telephone. The appropriateness of a telephone message requiring a return call is decided by the practice clinical team. To protect the privacy and confidentiality of the patient, the practice clinical team may refrain from the disclosure of personal health information as appropriate. Our practice does not encourage Email communication due to it not being a secure form of communication so any medical information is best discussed with reception, nurse or with your doctor. Our practice respects the rights of patients to have an accessible and confidential avenue to provide positive or negative feedback. Suggestions to improve the practice services are welcome. Our practice encourages to complete suggestions or complaints form available at the front desk. For matters unresolved by the practice, patients can pursue such matters externally. The appropriate body to raise complaints externally is the Health Complaints Commissioner and their contact details are 1300 582 113. Call us anytime to check if your test results or other clinical correspondence has been received by us. Please allow 3 to 5 days for routine test results unless marked urgent by your doctor. A follow-up appointment will be needed to discuss abnormal results or some types of clinical correspondence. We will recall patients either by phone or by letters for all abnormal results. Please be aware that you will not be contacted if your results are normal unless decided otherwise by your treating practitioner. From time to time to perform preventative health assessments and to educate patients of the need to undergo certain tests as recommended by the Royal Australian College of General Practitioners (RACGP), your doctor may choose to include a reminder in your medical record. Our practice nurse will speak to you over telephone to discuss these appointments. If you change your telephone or address, or if you prefer not to receive this reminder, please advise our practice nurse. All general practice consultation services are bulk billed. Some consultations are not eligible for Medicare rebates e.g. pre-employment and insurance medicals or requests to view your medical record. Allied health services attract an out-of-pocket fee except in certain circumstances. Please enquire with our reception for the fee involved or enquire directly with the allied health professional for detailed information on the fee where private health insurance rebates are involved. Fees apply to special dressing material if used in wound care management. Fees vary with the type of dressing used therefore please enquire with our practice nurse for more details. Fees are applied for workcover consultations as per the schedule until claim numbers are approved and evidence of the same is provided to the practice. Please enquire with our reception for more details. Payment can be made by cash, cheque, credit or debit (EFTPOS) card.